Repair work on Spring Creek Trail has been completed by the contractor ahead of schedule, and other than some cleanup work still taking place over the next several days, the trail is open for all users once again. The trail was closed in three phases beginning Jan. 3, and the rehabilitation work along the 1.1 mile section had been expected to last until Feb. 7. 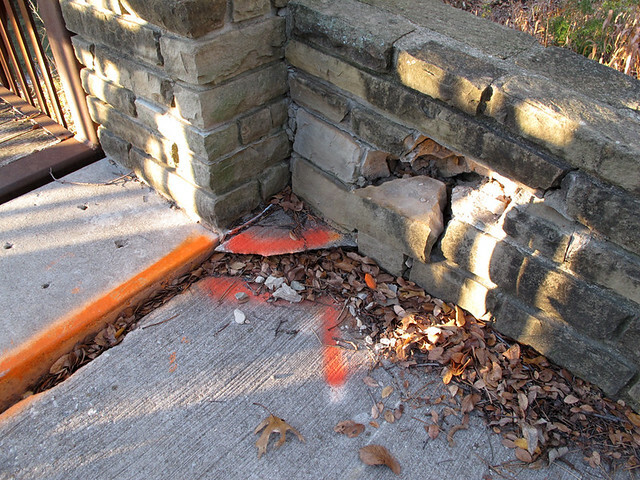 The City contractor removed and replaced concrete trail sections that had been damaged by tree roots and shifting soil. 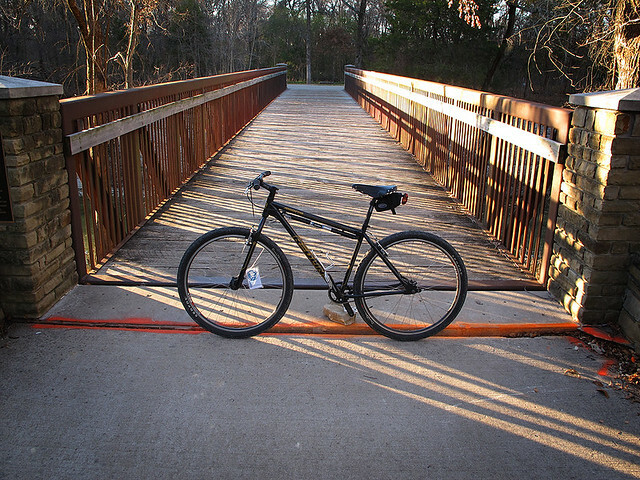 Last week the City of Richardson announced that they would be closing off portions of the Spring Creek Trail for repairs. 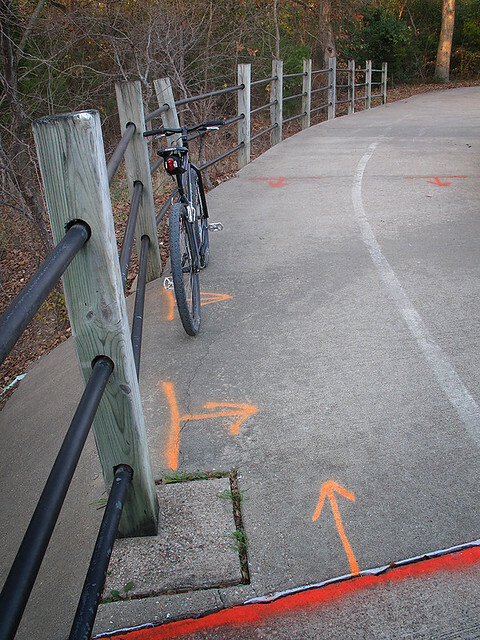 Since I typically ride the west section, from the Routh Creek Parkway ramp to the Central Expressway underpasses, I didn’t know the extent of the wear and tear on the trail. Seeing the extent of this wear makes me glad the city is working – proactively – to keep it maintained and safe for those using it. Yet, another great reason to live in Richardson. 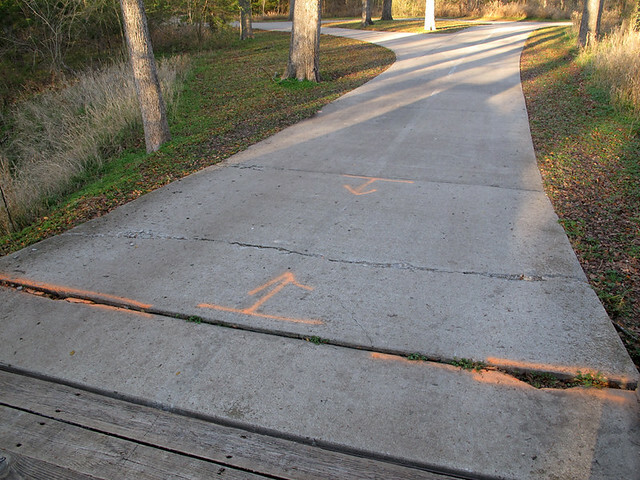 Starting January 3, 2012, the City’s Parks and Recreation Department will begin rehabilitation work on the Spring Creek Trail in north central Richardson. 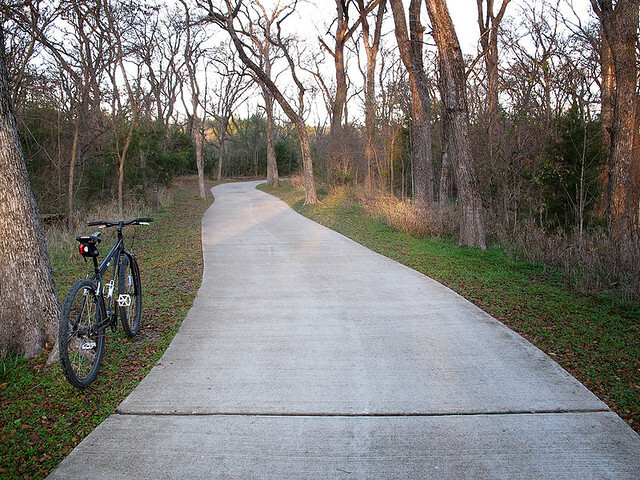 The trail is located between Central Expressway and Plano Road, south of Renner Road, and meanders through the Spring Creek Nature Area. The trail will be closed in three phases (see map below) between January 3 and February 7. The closures will allow City contractors to tear out and repour concrete trail sections damaged by growing tree roots and shifting soil. 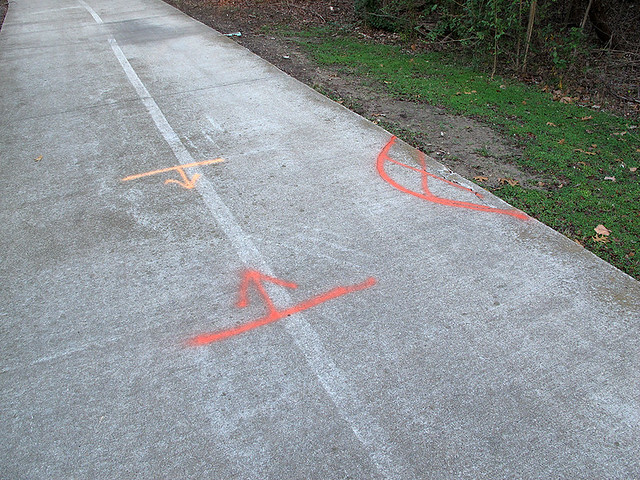 Weather permitting, work along the 1.1 mile section of trail should take about five weeks. Although this will be a small inconvenience, we’re glad the city has decided to do it. This show’s the city’s commitment to keep the bicycle infrastructure maintained and it’s users safe. We’ve started to notice some wear and tear on the trail, so we’re glad this is getting done before it gets worse.